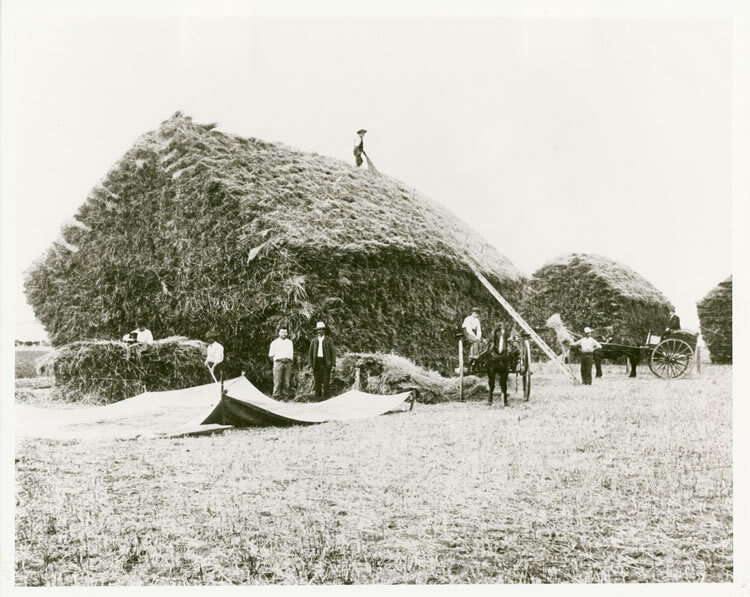 The Gippsland Picture Collection photographs, capturing the history and heritage of Gippsland from the early 1900s, are a hallmark of the Centre for Gippsland Studies. 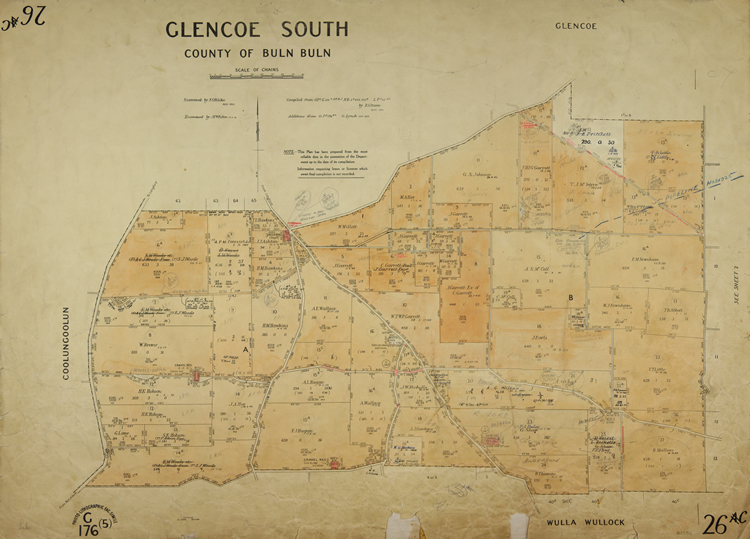 Some 1800 of the collection’s photos as well as a selection of maps related to Gippsland have been digitised by the Monash University Research Repository. 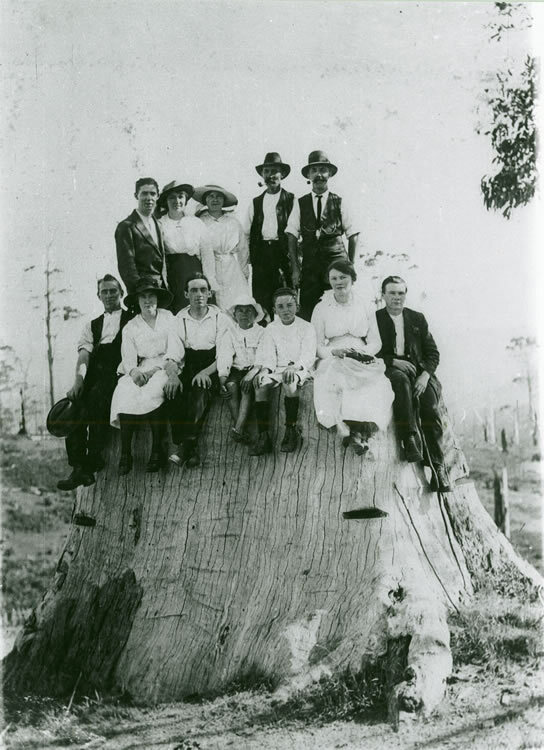 Twelve men, women and children are seated and standing on top of a large stump. The stump was located at Touzel’s Corner, junction of Coast Road and Allambee Road, west of Mirboo North. Mrs F. Touzel selected the land and her son, George E. Touzel, cleared and farmed the property. 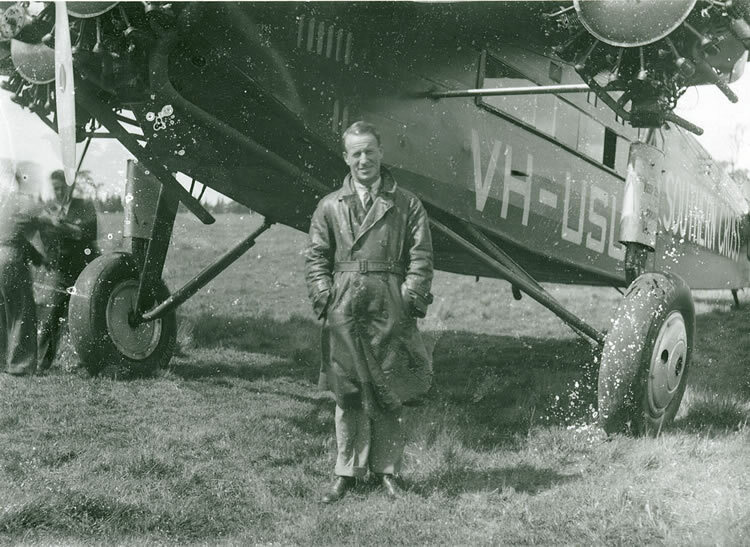 Sir Charles Kingsford Smith came to Morwell in 1933 to give joy rides. 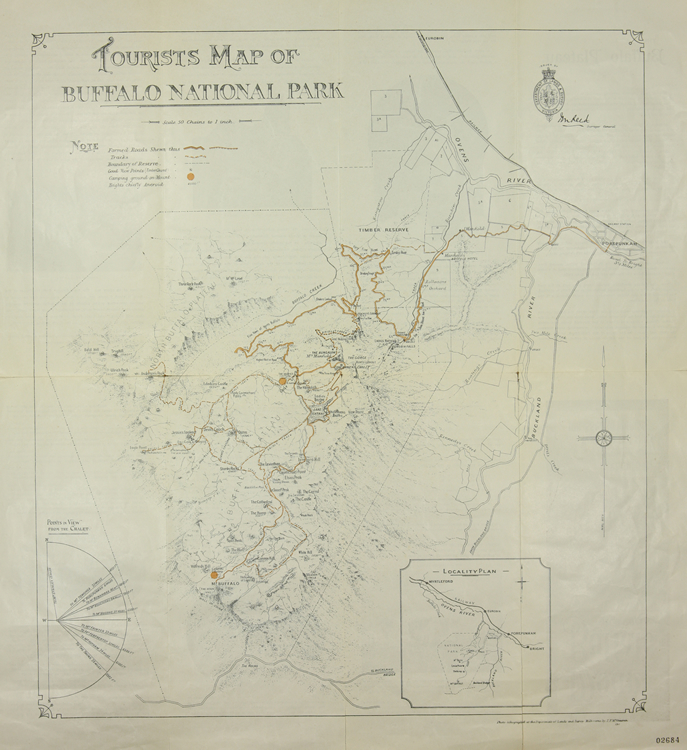 Map showing topography, roads, tracks and tourist attractions in Buffalo National Park, with descriptive notes and tourist information. 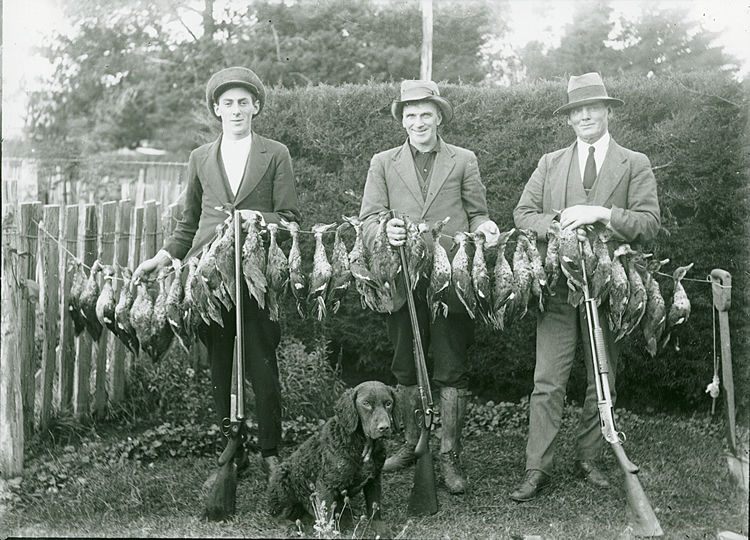 Three men, with guns and a dog, are displaying their large bag of ducks, probably at Toora in the 1920s. Plan of the area south of Longford showing landholdings, with notations recording changes in ownership. 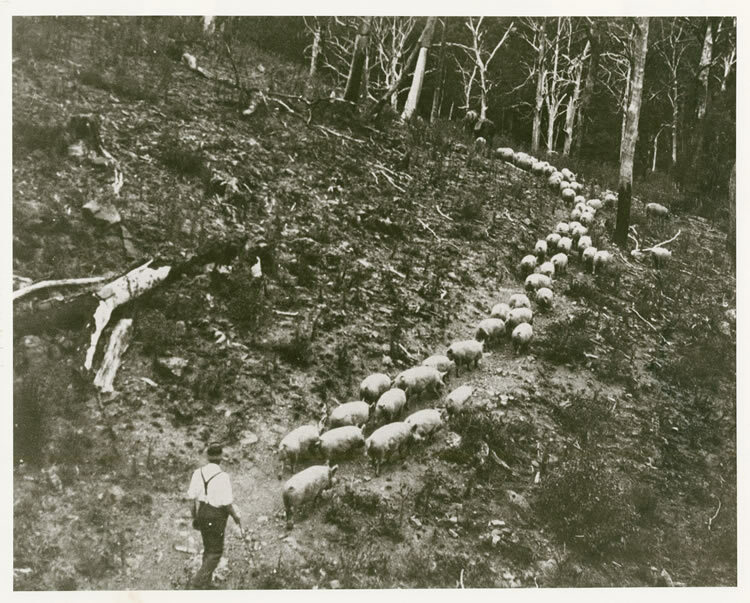 Pigs are being walked to market along a bush track, one man at the head of them and one following behind. 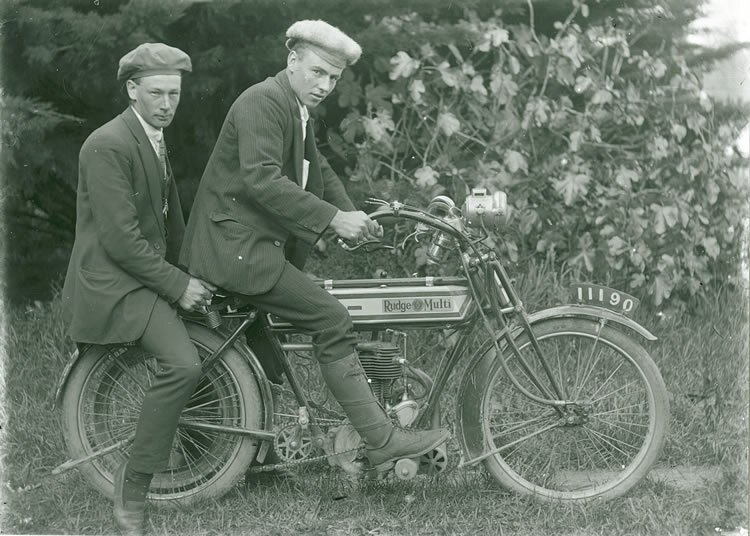 They are from Hawkhurst, the Spaull family property at Crooked River. 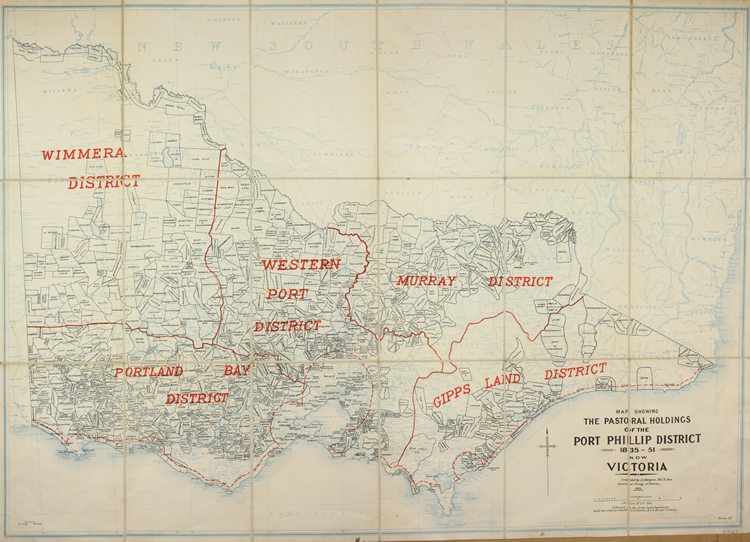 Dyeline map showing boundaries of pastoral runs in Victoria from 1835 to 1851. Joseph Walker with the herd testing machine he imported from the United States at the turn of the century. 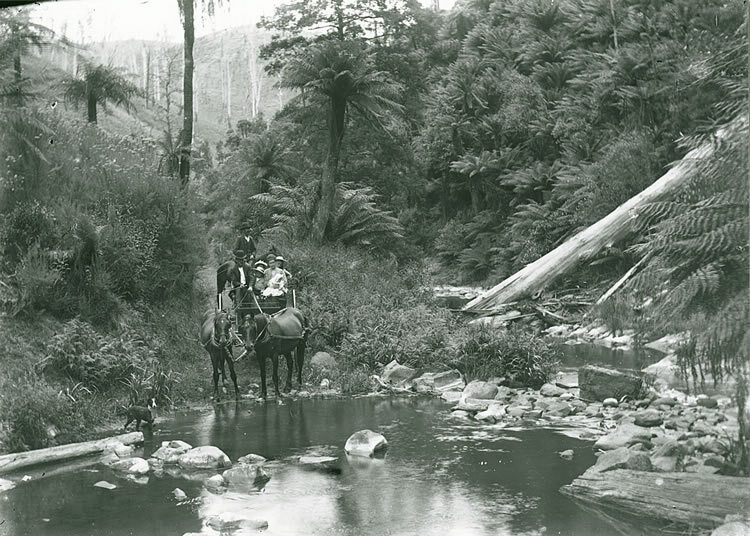 One of fourteen river crossings made by the Coleman family as they return after a picnic at Lavinia Park, the racecourse at Yinnar. Standing from the left are Crs. C.W. Rowe, P.J. Healy, W.H. Boyes, A.E. Palmer and R.E. Ross (Engineer). Seated from the left are Cr. J. Alcorn, W. Young (Secretary), Crs. 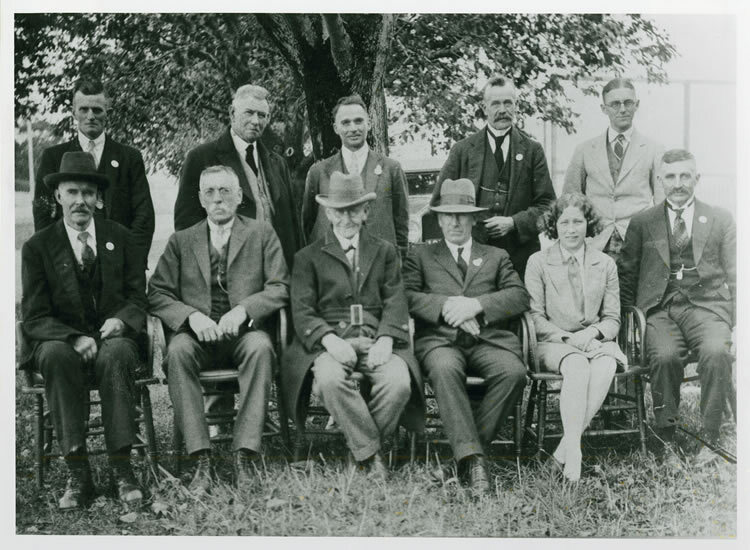 J.J. Gleeson (President), T. Bennett, Miss D. Paynter (Clerk) and Cr. E.A. Ronalds. A man is posing in front of a large log with a wooden wheelbarrow, a circular saw blade and other timber workers’ equipment. Behind him is a bush hut built of palings. Wedding group at the marriage of Thomas and Florence Chong in 1916. At the back, from the left, are George Tock Liang, Elsie Sam, Albert Sam, the groom and bride, unknown and James Sam. Seated, from the left, are Ettie Tock Liang, Mr Sam senior and Cissie Sam. The little girl is Rita Tock Liang, the boy unknown. The Mirboo North Rifle Club, about 1907. The members are seated holding their rifles, while a row of women stand behind. The members in the photograph are Geo. Sutton, P. Burchell, Jas Abbott, G. McKenzie, Frank Dawson, Tony Watkins, Geo. St Ellen, C. McCormack, Jas Marshall, Tom Clark, T. Ashworth Senior, W. Pickering, W.J. McCormack, Norman Gill, R. Alford, Fred Bliss, Chas Bliss, W. Tuck, Mat Gargan, Tom Gould, Jack Clark, Jim Giles, W. Stanton, Tom Ashworth Junior and C. Downing. A large group of workers are standing on the railway line, many holding tools. 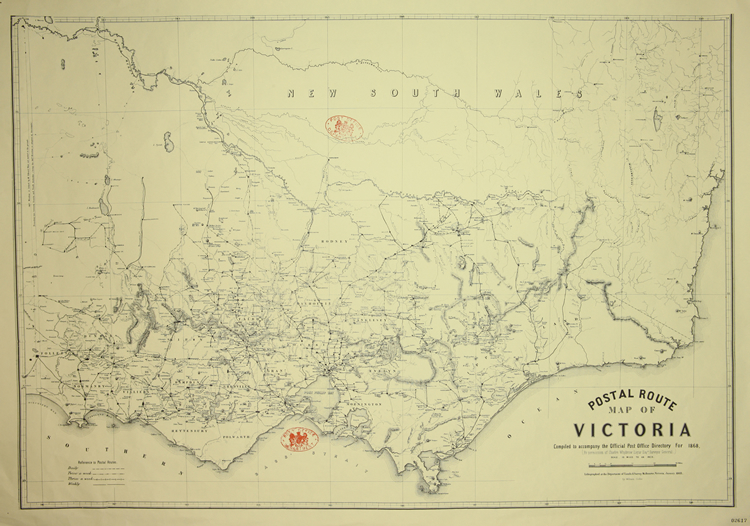 The line from Bairnsdale to Orbost was constructed from 1912 to 1916. 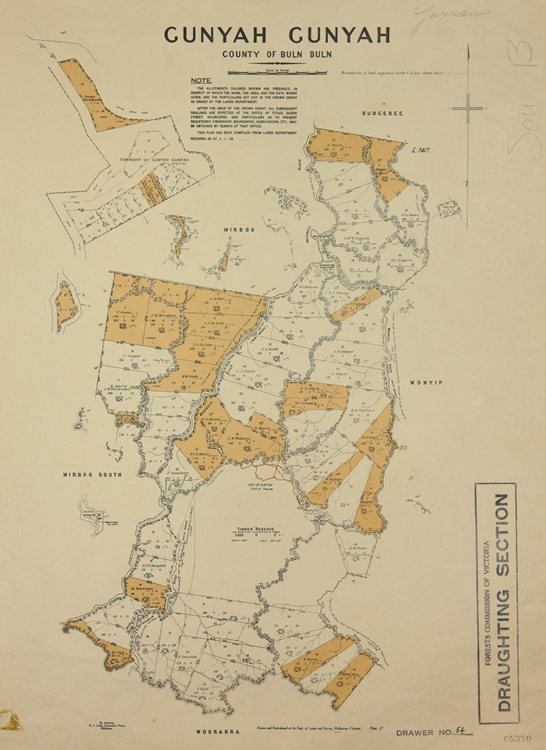 Plan of the Gunyah district in the Strzelecki Ranges, showing freehold and other landholdings. Two men on springboards are cutting down a blue gum tree near Scanlon’s property at Budgeree in 1913. View of Trafalgar, about 1910, showing The Times printing office, Bank of Victoria, William Levey’s Commercial Stores and the Criterion Hotel. This photograph has been annotated by Martin Walker, who was a shire councillor. This huge tree stump was at Mount Square Top, north of Foster. It was 80 feet 6 inches in circumference. In the early days, it was used as a church, school and public hall. 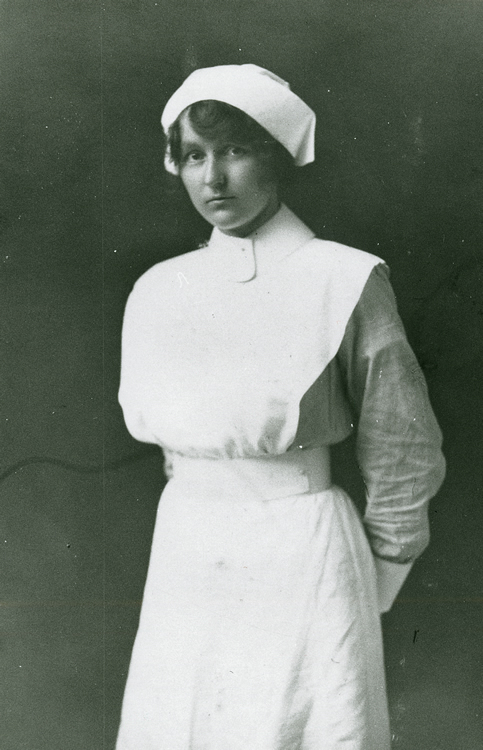 Portrait of a nurse in uniform, She was from Gippsland Hospital at Sale in the 1920s.